Susan Lucci Youthful Essence Microdermabrasion - Its true that microdermabrasion is so much more than an exfoliating treatment. Microdemabrasion exfoliates the top layer of skin without any harsh chemicals or laser beams. In fact the crystals are safe and very effective. The process can get rid of fine lines, acne scars, and those unwanted sunspots. It can also help stimulate collegen production which we all need as we age. All in all microdermabasion is worth the cost. Now Susan Luccis Youthful Essence microdermabrasion is a great at home microdermabrasion system. The resurfacing microdermabrasion tool, along with vitamin enriched crystals, give great results and right in your own home. Mrs. Lucci raves about the resurfacing tool that took three years to develop as well as the exfoliating cream. The cream has crystals that are not harsh at all, in fact they are ground so fine that the resemble soft sugar. Susan Lucci was sold on promoting the product after one at home season. She could not believe how her skin felt and looked! Prep your face by cleaning away the dirt and grime with the Cleansing Facial Wash. Next, apply the Resurfacing Cream with the resurfacing tool. Concentrate on certain areas of the face such as forehead, cheeks, nose, and chin. Continue with the resurfacing tool for around 3 minutes and rinse. Then follow with the Facial Mist and toner, and finally apply a generous amount of the Moisturizer. 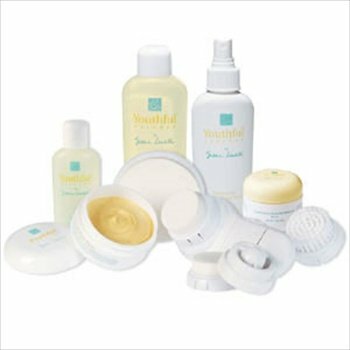 The Susan Lucci Microdermabrasion System should be used once a week with you tend to have dry skin. If your skin is on the oily side, you can use it up to twice a week.